Aren't we still waiting for an unmasked movie version of Shuri too with the actress' likeness? A silhouette of her was teased at SDCC last year with a statement that she was not part of the upcoming 2nd Black Panther wave, but would be released in some other way. Has anyone heard news about that figure yet? This looks like its just rerelease of the TRU exclusive pack. 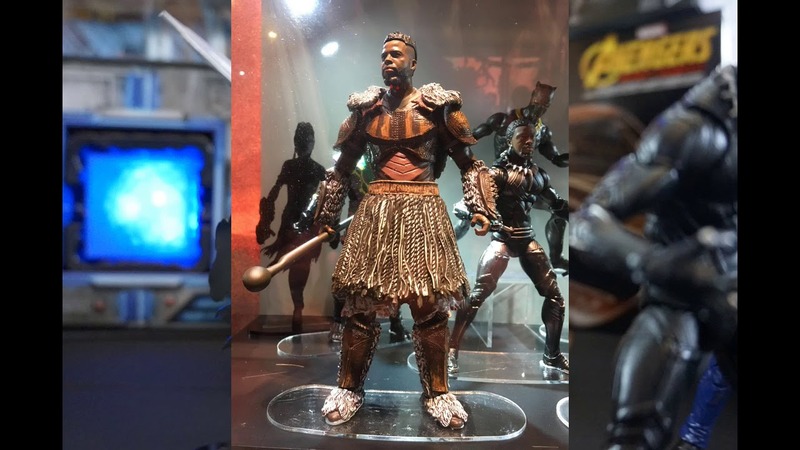 Movie Shuri will probably be shown off at ToyFair soon. Hopefully the Scarlet Witch/Vision MCU pack will get another run too. That’s exactly what this is. The TRU pack rereleased. I believe she was announced as being a part of one of the upcoming Avengers waves. No further news, since. but it's not so...why are we acting like this is new when this was release some time ago?? I always use standard grade and I'd say BBTS still does a great job of securing the figure with plenty of bubble wrap. The boxes may not arrive pristine especially because the people handling your package might not be so careful but I've never received an item that was damaged as a result of shipping or whose package was damaged. I just had the ultimate Gremlin and Pale Man arrive yesterday, they were standard grade orders using the flat rate shipping and both boxes and the figures inside were in pretty much perfect shape. Last edited by Jeddostotle7; 02-08-2019 at 03:57 PM..